From the perspective of the purchaser, there are several important differences between structuring an acquisition as a share transaction and an asset transaction. Firstly, acquiring the shares of a target company does not affect the tax depreciation bases of the target company’s assets. The purchase price would be allocated in full to the acquired shares, and no goodwill would be recognised for tax purposes. Conversely, when acquiring the business assets and liabilities directly, the purchaser would recognise new tax bases on the acquired (tangible and intangible) assets and liabilities. Goodwill recognised as a result of the asset transaction is depreciable for tax purposes. For further details see question 2. Secondly, when structuring an acquisition as an asset transaction, historical tax liabilities (and historical tax assets, such as tax losses carried forward) generally remain with the seller. In a share transaction, the purchaser effectively assumes liability for all historical tax risk, which remains with the target company. This starting point can be adjusted in agreements between the parties, to arrive at an appropriate allocation of liability (see question 9). The special tax regimes applicable for companies in the oil and gas (exploration and production) and hydropower industries provide for ‘tax neutral’ asset transfers in certain circumstances. Finally, asset transactions may trigger transaction taxes (see question 6). The sale and purchase of shares, on the other hand, does not trigger any indirect taxes for either seller or purchaser. A step-up in the tax depreciation bases of the business assets and liabilities is generally only available in an asset transaction. 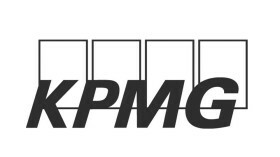 Goodwill recognised in the transaction (very broadly, the difference between the purchase price paid and the fair market value of identifiable tangible and intangible assets) would be depreciable for tax purposes at 20 per cent per annum on a declining balance basis. Agreements between the parties with respect to the allocation of the purchase price (which could significantly affect the taxation of both seller and purchaser) are not binding on the tax authorities. Purchase price allocation studies are therefore usually prepared to support the allocation between the different types of assets and liabilities acquired. When acquiring shares, it is not possible to ‘push’ the purchase price paid for the shares in the target company down onto the underlying assets and liabilities. No goodwill is recognised for tax purposes. The goodwill arising on consolidation for accounting purposes (assuming a Norwegian purchaser) is disregarded for tax purposes (as the purchasing company would be taxed on a standalone, rather than consolidated basis). Non-resident purchasers typically set up local acquisition vehicles when acquiring Norwegian companies or businesses, but this should be considered on a case-by-case basis, taking into account both tax and other effects. From a tax perspective, the ability to offset financing expenses against taxable income would typically be an important consideration. As Norway does not allow for cross-border consolidation, offsetting financing expenses against the profits of the Norwegian target company would not be possible unless the acquisition debt is drawn down locally. This is typically arranged through a Norwegian acquisition company. There is no tax grouping, fiscal unity or similar arrangements under Norwegian law. A degree of consolidation for tax purposes may be achieved using group contributions. A group contribution is a deductible and taxable transfer of taxable profits from one company to another. The two must be part of the same qualifying group (more than 90 per cent of capital and voting rights). The group contribution is an actual transaction, as opposed to a notional shift of profits for tax purposes, and requires a transfer of funds (or leaving the amount unsettled as receivable or payable). As a main rule, the group contribution requires distributable reserves. 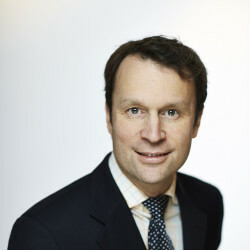 Dividends from the target to the Norwegian acquisition company should be exempt from Norwegian taxation (3 per cent of the exempt dividend is added back to the taxable income unless the acquisition company holds more than 90 per cent of the shares), and there should generally be no adverse implications on exit. In the event the non-resident shareholder does not qualify for a dividend withholding tax exemption (see question 13), partial exits may in certain circumstances be complicated, as the Norwegian holding company would not be able to remit proceeds in the form of dividends without triggering Norwegian tax. It should generally be possible to address this issue by appropriate structuring steps. In certain situations, it may be preferable to acquire the target company or business directly. For example, the withholding tax exemption for dividends distributed by companies engaging in activities subject to the special Petroleum Tax regime (see question 13) only applies to direct distributions. In the event dividends are passed up through a Norwegian holding company, the exemption would not apply on the distribution out of the holding company. In the context of an asset transaction, it may in some cases be preferable to operate the target business through a branch, as there is no branch profits tax (or similar), whereas dividends might trigger Norwegian withholding tax (see question 13). Norwegian companies are always taxed in Norwegian kroner, irrespective of functional currency. It is not possible to make a designated currency election. If acquisition financing is drawn in a currency other than kroner, currency gains or losses would generally be taxable deductible. As a main rule, it should be possible to defer recognition of gains or losses until realisation (eg, downpayment or refinancing). Company mergers or share exchanges are rarely used to effect acquisitions. While either alternative could in principle be structured in a tax-neutral manner, they severely restrict a seller’s ability to exit the investment. Norwegian company law does not allow for all-cash mergers. No more than 20 per cent of the total consideration can be assets (including cash) other than shares issued by the acquiring company (or, in certain circumstances, another Norwegian company in the acquiring group). This means that the merger-option is generally unattractive for a seller that wishes to exit more than 20 per cent of its investment. Share-for-share exchanges have historically been treated as ordinary fair market value disposals for Norwegian tax purposes. When Norway introduced rules allowing for tax-neutral cross-border mergers, specific provisions concerning tax-neutral share-for-share exchanges were also included. Curiously, no corresponding provisions have been included in a purely domestic context. As such, it is not possible to implement a tax-neutral share-for-share exchange where both the acquiring and target company are Norwegian. If the acquiring company is genuinely established (see question 13) in another EEA member state, a share-for-share exchange can be implemented on a tax-neutral basis. At least 90 per cent of the shares issued by the target company must be acquired by the acquiring company. In addition, as with mergers, no more than 20 per cent of the total consideration can be assets other than shares in the acquiring company. The requirement that the acquiring company be non-Norwegian complicates the position with respect to obtaining local acquisition financing. A share-for-share exchange could also be carried out on a non-­neutral basis. In the event the seller is a qualifying Norwegian corporate, or non-Norwegian, gains realised on the disposal should be tax exempt. There is no tax benefit to the acquirer in issuing stock as consideration rather than cash, other than derivative benefits of structuring the transaction as a tax neutral share for share exchange or merger, as discussed above. The acquisition of real estate is subject to a 2.5 per cent ad valorem stamp duty when the transfer of the right of ownership is registered. Asset transactions might trigger VAT, but an exemption is generally available when transferring a business (or part of a business) as a going concern. The transfer of shares is exempt from VAT. No other indirect taxes apply. As a main rule, a target company’s tax assets (including tax losses carried forward) are not affected by transactions in the company’s shares. There are no general provisions ring-fencing tax assets, restricting their use to profits from the legacy business, or similar. Norway has a statutory anti-avoidance rule, as well as a general anti-avoidance standard developed by the courts. The statutory anti-avoidance rule targets transactions (whether by way of merger, share-for-share exchange, or ordinary acquisition) primarily motivated by the utilisation of the target company’s tax assets. The assessment of what has motivated the transaction should be based on objectively verifiable factors. All facts and circumstances that might shed light on the purchaser’s motivation should be taken into account, and the rule does not operate on a purely mathematical basis. That said, the relative size of the potential tax benefit compared with the value of the target company as a whole would typically provide an indication of the risk of the rules being in point. As a general rule of thumb, the statutory anti-avoidance rule should not be applicable where the acquisition does not result in any increased possibility of utilising the tax assets. Where the purchaser has no other Norwegian group companies that might access the losses using group contributions, the anti-avoidance rule should generally not be applicable. In this scenario, the losses are effectively only available to offset future profit in the same business in which they arose. However, this must be assessed on a case-by-case basis. If, for example, a material change in the nature (or outright discontinuance) of the company’s business takes place post-acquisition, this might indicate that the losses, rather than the business itself, was the main purpose driving the acquisition. If a company enters into arrangements with its creditors for the waiver or forgiveness of debt, (a portion of) tax losses carried forward would normally be forfeited (on a kroner for kroner basis). Financing expenses (interest and equivalent costs) are deductible on an accruals basis. No distinction is made with reference to the application of the borrowed funds; interest on debt drawn down to fund the acquisition of shares, the income from which is typically tax exempt, is in principle deductible. An ‘earnings-stripping’ rule applies for taxpayers with net financing expenses exceeding 5 million kroner, capping the deductibility of net financing expenses on ‘related party debt’ to 25 per cent of earnings before interest, taxes, depreciation and amortisation (tax EBITDA). Broadly, the tax EBITDA is calculated by taking the company’s taxable income (after receipt or surrender of group contributions, and the use of tax losses) and adding back net financing expenses and tax depreciations. The rules apply on a single entity basis, and it is not possible to transfer excess capacity to deduct interest within a group. However, as group contributions received would be included in the tax EBITDA, taxable income could be transferred from companies with excess capacity to companies with a shortfall of tax EBITDA, in order to maximise the effective relief available to a tax group. A holding company without any business activities of its own might therefore be able to claim relief for (a portion of) its financing expenses if it receives group contributions from its subsidiaries. Note that group contributions are made out of taxable income, after net financing expenses and tax depreciations. If a group company has low taxable profit, but high taxable EBITDA as a result of tax depreciations, it might have high capacity to claim deductions for financing expenses, but this capacity would effectively be stranded. The definition of ‘related party debt’ is very broad. It covers ordinary control (at least 50 per cent direct or indirect ownership), back-to-back arrangements through third parties, as well as third-party debt if guaranteed by a related party (specific exceptions apply). While it is only financing expenses on related party debt that would be disallowed, all financing expenses count towards the 25 per cent threshold. Accordingly, if the taxpayer’s financing expenses on pure third-party debt exceed 25 per cent of taxable EBITDA, the taxpayer would still be able to claim relief for such financing expenses, but there would be no headroom for deducting any financing expenses on related party debt. Disallowed interest expenses may be carried forward for up to 10 years. The Ministry of Finance has announced it is working on a legislative amendment that would extend the application of the earnings stripping rules to all interest expenses (including pure, non-guaranteed third-party debt). The stated aim is that the amendment would be effective for financial years ending on or after 1 January 2019. An extension would likely include a ‘Group Ratio’ type of escape clause, allowing deductions if the ratio of debt to assets, interest expense to EBITDA, or other ratio to be determined of the Norwegian subgroup is equal to or lower than that of the worldwide group. The details are not known at the time of writing, but a formal proposal is expected in the near term. Finally, general arm’s-length transfer pricing principles apply with respect to interest rate and capitalisation (debt-to-equity ratio). Norway follows the principles set out in the OECD Transfer Pricing Guidelines. Purchasers would normally look to include relevant protection mechanisms in the sale and purchase agreement. The nature and scope of protection would depend on the negotiations between the parties, as well as the potential exposure identified in the due diligence procedures. Typically, the purchaser would look to obtain protection covering all financial years open to re-assessment, and tax claims are therefore typically regulated separately in terms of provisions limiting seller’s liability. In the context of a share transaction, the sale and purchase agreement would typically include warranties (which the seller might disclose against), and indemnities. Full tax deeds are often observed where the purchaser is non-Norwegian (in particular from a common law jurisdiction), but less frequently so in a purely Norwegian context. Warranty and indemnity insurance has also become more common. With recent legislative amendments extending the general statute of limitations for re-assessment to five years, this trend appears likely to continue. The tax treatment of payments under warranties or indemnities depends on how the agreement regulates such payments. Normally, the agreements provide that such payments should be an adjustment to the purchase price. The payments should therefore not be taxable in the hands of the purchaser (although they may reduce depreciation bases on tangible and intangible assets in the context of an asset deal). What post-acquisition restructuring steps might be required, or desirable, depends on the position of both the target company and the purchaser. Depending on the financing arrangements of the target company or group, and the agreement with the sellers, the target company’s debt may require refinancing. This might provide an opportunity for placing debt directly into the target, allowing debt service directly out of underlying operational cashflows. Non-tax considerations (such as the company law rules on financial assistance) should be duly considered. Efficiencies may be available to the purchaser in altering supply chains, or changing the nature of the target’s business operations (eg, from a buy or sell distributor to a limited risk distributor). Transfer pricing considerations and exit taxes should be considered if assets, functions, or risks are transferred out of Norway. The target company or group may hold assets or functions the purchaser would have preferred not to have acquired, or that do not fit into the purchaser’s future plans for the business. Such assets or functions can be disposed of directly, or spun off in a demerger (see question 11). There may be synergies available to the purchaser in having certain functions of the target business carried out by a comparable function in the purchaser group. Transfer pricing considerations and exit taxes should be considered if assets, functions or risks are transferred out of Norway. The target company may be part of a group with an excessive number of legal entities, which may typically complicate operations (requiring a number of intra-group transactions and agreements), and drive compliance costs. Mergers can generally be carried out on a tax-neutral basis. Tax-neutral spin-offs may be carried out through a demerger or a tax-neutral intra-group transfer of assets. Tax-neutral intra-group transfers are rarely used in the context of acquisitions or disposals, as the tax deferred would become due when the transferor and transferee cease to be part of the same group (more than 90 per cent ownership and control). This applies irrespective of the amount of time that passes between the transfer and the breaking of the group. A demerger entails ‘splitting’ a company in two (or more) separate companies. The shareholders of the original company would receive shares in the new companies as consideration. Norwegian law provides for tax-neutral demergers, carried out in accordance with principles of fiscal continuity (very broadly, no step-up of tax bases, all unrealised gains or losses deferred). Tax losses (as well as other tax positions) relating to the transferred assets or functions would transfer over to the new company (subject to anti-avoidance considerations, where relevant). A tax-neutral demerger should not trigger any transaction taxes. Because a direct sale of assets would normally be a taxable transaction, while the sale of shares is typically exempt (for qualifying shareholders), taxpayers have had an incentive to structure disposals by way of demerger and sale of shares (there is no statutory holding period post-demerger). The tax authorities have historically challenged such transactions using the general anti-avoidance standard developed by the courts. Such challenges were frequently successful, in particular where the demerger took place in direct connection with a planned transaction. However, when the question was put before the Supreme Court in the ConocoPhilipps/Tangen 7 case, the court ruled in favour of the taxpayer. Demergers are technically complex exercises, and errors may result in the transaction becoming taxable. Obtaining professional advice is therefore strongly recommended. The migration of tax residency would trigger the deemed disposal for tax purposes of the migrating company’s assets and liabilities. If the migrating company becomes ‘genuinely established’ in an EEA member state (see question 13 for more detail), there would be no general deemed disposal. However, exit taxes may be due with respect to assets, functions, or risks taken out of the Norwegian tax jurisdiction. Hence, if the company retains a Norwegian permanent establishment that carries on the business activities of the company, it should be possible to effect a migration for tax purposes without triggering Norwegian taxation. The payment of exit taxes may be spread over seven annual instalments. Interest would accrue on the unpaid amount. There is currently no withholding tax on interest payments made by Norwegian tax residents. The Norwegian Ministry of Finance has indicated that it is working on a proposal for the introduction of withholding taxes on interest and royalties, but no draft or consultation papers have been released to date. Norway has concluded tax treaties with approximately 90 countries, many of which allocate the right to tax interest payments to the state of residency (subject to the creditor satisfying a beneficial ownership test). As a main rule, dividends from Norwegian companies to a foreign shareholder are subject to 25 per cent withholding tax. Two exemptions may apply under domestic law. Firstly, dividends distributed to a qualifying shareholder resident in an EEA member state (the European Economic Area is the EU countries plus Iceland, Liechtenstein and Norway) should be exempt from withholding tax. A qualifying shareholder is one that has a legal form equivalent to a Norwegian qualifying shareholder, and is ‘genuinely established, and carries out genuine economic activities’ in an EEA member state. Very broadly, qualifying legal forms should include most entities that would be considered fiscally opaque under Norwegian tax principles. There is no ‘white list’ of approved legal forms, meaning each case must be considered on its own merits. The key point in this context is whether any member or shareholder of the entity has unlimited liability for the obligations of the entity (which would normally result in the entity being considered fiscally transparent). On that basis, most limited companies (eg, German GmbHs, Swedish Aktiebolag, UK Ltds, Luxembourg Sarls) should qualify. Other entities, including collective investment vehicles, pension schemes and life insurance undertakings should be considered on a case-by-case basis. The ‘genuine establishment and genuine economic activity’ criterion is based on the Cadbury Schweppes line of case law from the Court of Justice of the European Union, providing that EU (and EEA) member states can apply discriminatory measures provided they relate to ‘wholly artificial arrangements’ set up to escape the national tax otherwise due. There are two essential elements to the test. The first is whether there is an intention to obtain a tax advantage. This is in itself not decisive, as EEA member states are not allowed to maintain discriminatory measures in order merely to safeguard their tax base. Without an identifiable tax saving, however, there cannot be a wholly artificial arrangement entered into for the purposes of obtaining a tax benefit. This has also generally been accepted by the Norwegian tax authorities. whether employees are authorised and qualified to carry out the economic activity of the company and whether the authority is in fact used. Holding companies and investment funds have been considered in administrative practice, but practice has been inconsistent. The main challenge is that the activities of such entities do not necessarily require a significant amount of personnel functions. It is also not fully clear how to consider situations where the entity has contractually outsourced functions to other parties (such as a manager or adviser). When the tax authorities consider the question of genuine establishment, they tend to perform a detailed factual analysis, and the result differs from holding vehicle to holding vehicle, depending on those factual findings. A case-by-case analysis is therefore necessary. It is possible to request binding rulings from the Norwegian tax authorities on whether a shareholder satisfies this criterion. In addition to the general exemption, a special exemption applies with respect to dividends distributed by companies subject to the Petroleum Tax regime (tax rate of 78 per cent). The portion of a distribution coming out of profits that have been subject to Petroleum Tax (calculated on a pro rata basis) is exempt from withholding tax provided the shareholder owns at least 25 per cent of the distributing company. The exemption only applies with respect to distributions from the company subject to petroleum tax. If that company is held through a Norwegian holding company, subsequent dividends from the holding company would be considered under the general rules outlined above (ie, no track and trace mechanisms). Norway has concluded tax treaties with approximately 90 countries, some of which allocate the right to tax dividend payments to the state of residency, subject to the shareholder satisfying a beneficial ownership test. There is limited case law and practice concerning the beneficial ownership test. As a minimum, the shareholder must be the legal owner of the shares, and bear the economic risks associated with the ownership of the shares. In this context, an important factor is whether the recipient has the right to use and enjoy the dividend unconstrained by a contractual or other legal obligation to pass the payment received on to another person. In line with the OECD BEPS project, Norway is taking steps to implement anti-abuse measures in tax treaties. To date, the principal purpose test is the prevailing means of countering treaty shopping (although many treaties still lack this type of provision), but Norway has expressed its preference for limitation on benefits clauses, and will work to implement such clauses through bilateral negotiations. Remittances from Norwegian branches or permanent establishments to their head offices are not subject to withholding taxes. Paid-in capital may under certain circumstances be returned to shareholders without triggering Norwegian withholding tax. ‘Paid-in capital’ in this context is a tax-specific amount, that may or may not correspond to the paid-in capital as set out in the financial statements. It is also calculated on a per-share basis, which can present challenges if the company has been funded over multiple rounds, so different shares have different paid-in capital for tax purposes attaching to them. It is important to ensure that there is sufficient paid-in capital behind each share before effecting a repayment, and professional advice is strongly recommended. Disposals are most commonly carried out as disposals of shares, which should be tax exempt for a qualifying Norwegian or a foreign shareholder. Qualifying shareholders broadly include all Norwegian corporate bodies (with the potential exception of pension schemes and life insurance undertakings, if the investment is held in the collective portfolio). Gains realised on the disposal of assets are taxable. Depending on the nature of the asset, recognition of the gain may be deferred through the ‘profit and loss account’ (20 per cent recognised per annum on a declining balance basis), or reducing the tax depreciation pool for that type of asset. Gains realised by a non-resident shareholder on the disposal of shares in a Norwegian company are not subject to tax in Norway. There are no special provisions concerning companies owning particular assets, or that engage in particular activities. There is no general tax-neutral rollover regime in Norway. Tax-neutral transactions are effectively limited to mergers and cross-border share-for-share exchanges. As outlined above, these are typically impractical in the context of an acquisition. 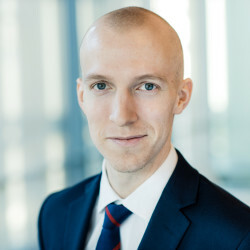 As gains realised on disposal of shares would be tax exempt for the majority of sellers (including Norwegian limited companies and foreign sellers), the question of neutral rollovers primarily arises in the context of private individuals that re-invest a portion of the sales proceeds, and in the context of asset transactions. Pre-transaction structuring may in certain circumstances mitigate the tax due on disposal of assets (see question 11 concerning spin-offs). There is generally no readily available means of mitigating the tax charge due on private individuals realising gains on shares.